The last thing you want to face is unbearably hot temperatures in your home during a heat wave. When your A/C breaks down, you can count on Cote’s Mechanical for the best A/C services in Celina. We can also help you out if your heat pump or furnace isn’t quite working right in winter. Our team of HVAC professionals has the equipment and experience needed to provide Celina residential and commercial customers with the heating and cooling services they need. When you need repair services, we offer a free service call. When you need a new installation, we provide estimates at no cost to you. You can turn to us to perform whatever HVAC service you need – whether you need electric furnace repairs, a heat pump installed, or A/C maintenance. When you have an HVAC system that stops working or when you need to get a new one, the team at Cote’s Mechanical in Celina is here to help. We can help you choose the most efficient system for your home or handle major repairs. Our company also replaces other HVAC system parts when your equipment is worn out or cannot be repaired. At Cote’s Mechanical in Celina, you can also have us provide you with improved indoor air quality or increased attic ventilation for better home comfort. 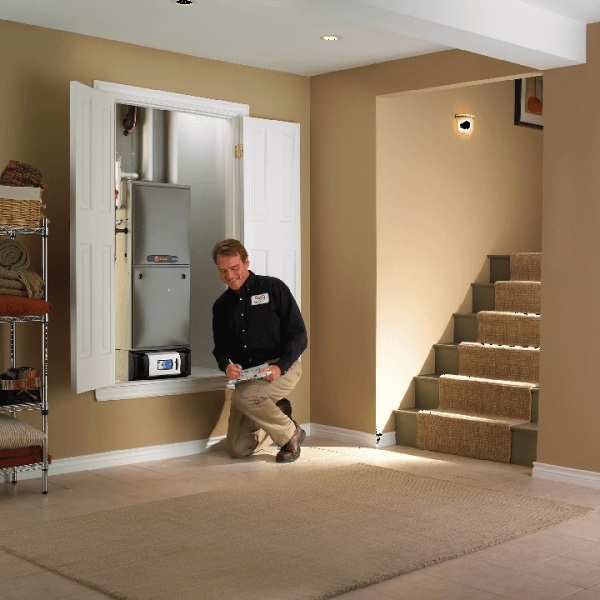 No matter what your home comfort or HVAC needs are, we are here to help. Cote’s Mechanical has spent nearly two decades providing HVAC services for residential and commercial customers in Celina. Since our start way back in 2001, we have made it a point to ensure that each of our customers receives top-quality heating and cooling services. Owners Cote and Kristi Wyatt are joined by a team of more than 40 employees, made up of licensed technicians and courteous office staff. Take a look at our online reviews and you’ll realize how committed we are to providing the best customer service. Customers have mentioned the promptness of our technicians, even when they have to come out on a Sunday afternoon or a weekday evening. Customers have also been impressed with the efficiency of our installation services. Our company has been recommended by dozens of locals on Nextdoor and Facebook. Being dedicated to providing high-quality customer service has also gained the attention of national organizations. Angie’s List awarded our company with the 2016 Superior Service Award, and we’re proud to have received a stellar A+ rating from the Better Business Bureau. 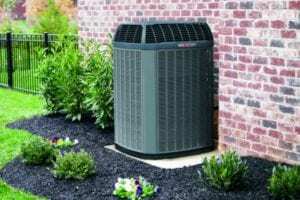 Cote’s Mechanical is also a Trane Comfort Specialist, and we’re accredited by the Air Conditioning Contractors of America. Celina residents have an average household income that’s nearly twice as high as the national and state averages. The average household income for Celina residents is $94,856, while the average for Texas and the U.S. is around $55,000. This higher income pairs well with the average cost of a home here. The average home price in Celina is $255,200, which is quite a bit more than the average home price of around $142,000 for Texas and around $184,000 for the U.S. The population of Celina is estimated to be just under 10,000, and the city is growing steadily. Those who live here can easily get to nearby Plano via US-75. Dallas is about 49 miles away via US-75 S, while Fort Worth is about 62 miles away via TX-121. Denton is about 28 miles away via FM428. Celina has great places for residents to go for some outdoor enjoyment or a delicious meal. Old Celina Park features a playground, a catch-and-release pond for fishing, baseball fields, and more, while Founders Station Park in downtown Celina offers basketball courts, a horseshoe pit, tennis courts, and picnic spots. Residents can dine on a plate of comfort food in a cozy atmosphere at Lucy’s on the Square, or go to Papa Gallo’s Mexican Grill for enchiladas, tortilla soup, and more. The city of Celina offers many different kinds of opportunities for those who want to volunteer their time and skills. Some of these opportunities include the Celina Main Street Program and the Celina Citizens Police Volunteer Group. Residents can also join Celina boards and commissions, including the Economic Development, Community Development, and Historic Preservation Boards. If you have a heating or cooling system that breaks down on you, contact Cote’s Mechanical as soon as possible for service. We have a team of skilled technicians ready to assist you with routine maintenance or emergency repairs at your Celina home or business. We also offer installations and other HVAC services. Call us today or visit our website to learn more. I submitted a request yesterday through my home warranty company and was scheduled almost right away. Bill came this morning and repaired the furnace in less than half an hour! Quick and easy. Great service! Bill managed to fix everything in under 15 minutes and was very nice and courteous throughout the whole process. Jason was personable and professional!